OBJECTIVE: Garcinia kola seed has been used locally for the treatment of many different disorders including gastrointestinal disorders like diarrhea, but its precise mechanism of action is not well investigated. In this study the effect of aqueous extract of Garcinia kola seed was studied on smooth muscle preparation in vitro. METHODS: Fresh Garcinia Kola seeds were used in this study. Two different concentrations of the extract were prepared (10mg/ml and 15mg/ml) and their volumes were varied. After about 24 hrs of fasting, each Rabbit was then euthanized. The abdomen was immediately opened using forceps (laparatomy) and the Rabbit’s ileum about 2-3cm in length were excised and washed with tyrode solution in a petri-dish. One end of the segment of the ileum was attached to an isotonic transducer (type F-60), the segment was passively viewed and recorded for further analysis on a 4-channel physiograph (type PMP-4B). The results were expressed as mean ± Standard Deviation. The differences between the means were analyzed using the independent Student t-test. The result was considered significant at P<0.05. RESULTS: The extract showed a dose dependent response with lower volumes of 0.1, 0.2, 0.4 and 0.6mls of 10mg/ml showing insignificant decrease in strength of contraction with the P-values (0.266, 0.230, 0.309 and 0.272) respectively. Whereas there was progressive increase in decrease of contraction from 0.8ml, 1ml of 10mg/ml, 0.1 to 0.2ml of 15mg/ml with P-values ( 0.036, 0.016, 0.027 and 0.001) respectively. Similar result was seen in decrease rate of contraction. When concurrently administered with Acetylcholine, the extract also showed does dependent decrease in strength of contraction caused by Acetylcholine with P-values of 0.018 for 1ml of 10mg/ml and 0.611 for 0.2ml of 15mg/ml. CONCLUSION: The inhibitory effect Garcinia kola extract can be said to be mediated through the same mechanism with Acetylcholine. Further investigation should be carried out to establish its mechanism of action on the intestine and other organs. 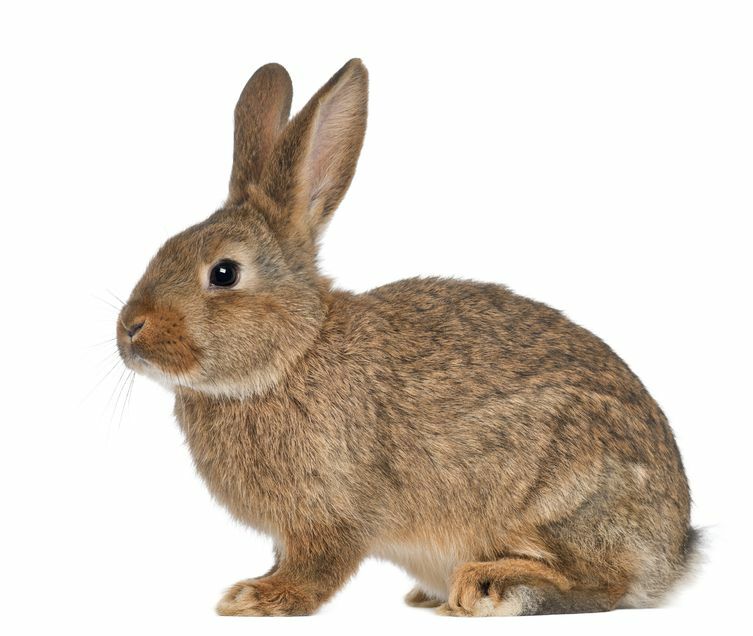 KEY WORDS: Garcinia kola seed, Rabbit ileum. , The inhibitory effects of G. kola seeds on tracheal smooth muscle has been demonstrated in humans . Biflavonoids from G. kola have anti-inflammatory properties , is a natural antioxidant [12, 13, 14], and is hepatoprotective [14, 15]. Extracts from G. kola seeds have been reported to alter estrous cycle, inhibit ovulation, induce teratogenicity , and to be non-toxic to erythrocytes even at high dose ranges . In the search for alternatives to synthetic hypoglycaemic agents, Adaramoye and Adeyemi reported anti- diabetic and hypolipidaemic effects of fractions of Kolaviron (from G. kola seed extract) in streptozotocin (STZ)-diabetic rats . These reports are indicative of the ability of the active components of this species of kola and of flavonoids from other plants  to arrest inflammation and/or smooth muscle hypermotility and of other ailments when used in traditional medicine . The two main types of receptors in the GIT are the excitatory cholinergic and inhibitory adrenergic receptors. The excitatory are stimulated by the parasympathetic nervous system while the inhibitory are stimulated by the sympathetic nervous system . Specifically, the excitatory receptors of the GIT are the Muscarinic receptors the M3, M2 receptors, and the neurohumoral transmitter or neurotransmitter that binds to these receptors to elicit contractile response is Acetylcholine (Ach). Drugs or agents that binds to these same receptors to produce effects similar to that of Ach are called cholinergic drugs or agonists, cholinomimetics or parasympathomimetics e.g. Methacholine,while drugs or agents that bind to it to inhibit the parasympathomimetic effects are called cholinergic b l o c k e r s , a n t a g o n i s t s , a n t i c h o l i n e r g i c s o r parasympatholyticse.g. Atropine . Rapid growth in research methods and advancement in sophistication of research equipments warrants that new pharmaceutical outfit will need expertise of physiologists, and ethno medical practices, given that the first stage of drug development which is identification of new chemical substance as a potential target for drug use may need massive data of ethnomedical practice. Garcinia kola has been said to be used traditionally for the treatment of many disorders including gastrointestinal smooth muscles disorder like diarrhea. But the physiological mechanism through which it acts on the gastrointestinal smooth muscle to elicit it effects has not yet been well investigated. Fresh Garcinia Kola seeds were bought from farmer in Samaru Market, Zaria. They were taken to the herbarium of the department of Biological Sciences, Faculty of Science, ABU, Zaria for identification. After that, the seeds were dried under the sun to ease detachment of the thin back or cuticle attached from the epicarp of the seeds. The seeds were then dried under the moderate sun temperature for about 2 weeks. And then taken to the Department of Pharmacognosy, Faculty of Pharmaceutical Sciences, ABU, Zaria where they were then pounded into powder using mortar and pestle. The powder was dissolved into three liters of distilled water. The solution was shaken vigorously and allowed to stand on the bench shaking at intervals. The solution was then refrigerated for 24 hours and then sieved using laboratory sieve. This was then allowed to stand for about an hour to allow the heavier particles settle down, after which it was filtered using Whattman filter paper and then transferred into an open tray and dried in an ovum at 400C for 3 days and then scraped with a spatula and then crushed into fine powder using laboratory mortar and pestle . The drugs: Acetylcholine (Ach), Adrenaline (Adr), and Atropine (Atr) were obtained commercially from Zayo- Sigma Chemical Ltd Jos, Nigeria. The experimental procedure was used as described by Reboller . After about 24 hrs of fasting, each Rabbit was then euthanized. The abdomen was immediately opened using forceps (laparatomy) and the Rabbit’s ileum about 2-3cm in length were excised and washed with tyrode solution in a petri-dish. A segment of the ileum was then suspended in an organ bath (25ml) containing tyrode solution, which was immersed in a thermally controlled organ bath of 60ml capacity, at a temperature of about 37ºC, which was continuous airation by the aerator.One end of the segment of the ileum was attached to an isotonic transducer (type F-60), the segment was passively viewed and recorded for further analysis on a 4-channel physiograph (type PMP-4B), the speed of the machine was set at 0.025cm/sec, with a sensitivity of 50mV/cm. Post equilibration period was followed by the spontaneous contractions and after taking the reading of the normal contractions, the standard drugs were administered alone and together; initially Ach 0.05ml of (1mg/ml), Adr 0.05ml (20mg/ml), Atr 0.05 (20mg/ml) and Ach 0.05 (1mg/ml) extract 0.1ml of 10mg/ml, extract 0.2ml of (10mg/ml), 0.4ml 0f 10mg/ml, 0.6 of 10 mg/ml, 0.8 of 10mg/ml and 1ml of 10mg/ml, again extract 0.1 of 15mg/ml and 0.2 of 15mg/ml (15mg/ml) were added, and then, extract 1ml (10 mg/ml) and Ach 0 . 05ml (1mg/ml),extract 0.2ml of 15 mg/ml and Ach 0.05 of (1mg/ml), their effects were recorded on the physiograph. Different doses of 10 and 15mg/ml of the extract were administered and the effective doses were interacted with Ach. The tissue was washed three times after each administration and then allowed to rest in order to return to a stable baseline before administration of new volume or dose. The effect of all the administered agents was recorded on the Physiograph. The results were expressed as mean ± Standard Deviation. The differences between the means were analyzed using the independent Student t-test. The result was considered significant at P<0.05. RESULT: The results obtained for both strength and rate of contraction of the isolated Rabbit ileum when Standard drugs and aqueous extract of G. kola seed were administered are presented in table 1. Ach at 0.05ml of 1mg/ml gave significant increase in contraction (P<0.00). Adrenaline 0.05ml of 20mg/ml also gave significant decrease in contraction (P<0.00). While Atropine 0.05ml of 20µg/ml was able to block Ach thereby giving an insignificant result (P < 0.28). There was a significant decreased in strength of contraction of the ileum at low volumes of Garcinia Kola (0.1, 0.2, 0.4, and 0.6mls of 10mg/ml). There was a significant decreased in strength of contraction at higher volumes of 0.8ml and 1ml of 10mg/ml and also at 0.1and 0.2mls of 15mg/ml (P>0.036, P<0.016, P<0.027, P<0.001) respectively. From table 2 above,Garcinia kola Extract was not able to cause significant decrease in strength of contraction of the ileum at low volumes of 0.1, 0.2, 0.4, and 0.6mls of 10mg/ml. However, Garcinia kola Extract gave significant decreased in strength of contraction at higher volumes of 0.8ml and 1ml of 10mg/ml and also at 0.1and 0.2mls of 15mg/ml (P<0.036,P< 0.016, P<0.027,P< 0.001) respectively. Garcinia kola extract at a lower concentration of 10mg/ml (1ml) was not able to block the effect of Ach, so Ach was still able to cause significant increase in strength of contraction (P< 0.018 P<0.015). But at a higher concentration of 15mg/ml (0.2ml) the extract was able to inhibit the effect of Ach (P< 0.611. P<0.109). Table 4; There was no significant increase in the rate of contraction with the concentration of Ach at 1mg/ml P<0.060. Adr 20mg/ml (0.05ml) showed slight insignificant decreased in rate of contraction. While Atropine was able to block Ach thereby giving marked insignificant result (P< 0.423). Table 5; Garcinia kola extract at various volumes of 0.1, 0.2, 0.4, 0.6, 0.8, and 1mls of 10mg/ml and 0.1ml of 15mg/ml showed insignificant decreased in the rate of contraction. However, 0.2ml of 15mg/ml showed significant decreased in the rate of contraction. Aqueous extract of Garcinia kola decreased the strength of contraction, the marked inhibition observed attests to the parasympatholytic effect of Garcinia kola extract, given that in atropine and Ach interaction inhibition was observed P=0.27 and Ach single interaction caused contraction P 0.05 as seen in table 1, additionally the mechanism of action of extract could be predicted comparatively from this fact. And again in the experimental procedures involving determination of strength of contraction the volume of the extract was varied between 0.1 to 0.6ml of 10mg/ml, however the results were not statistically significant (P < 0.266, P< 0.230, P< 0.309, P< 0.27) respectively which show that the extract actions may be dose dependent, these observed effects may be interpreted looking at the marked decrease in contraction recorded at high doses of 0.8 and 1ml of 10mg/ml and 0.1, and 0.2ml of 15mg/ml respectively. This corresponds with the findings of (18) on their work on “Antispamodic and Spasmolytic effects of Methanolic Extract from Seed of Garcinia kola on Isolated Rat Small Intestine. Similarly in extract-standard drug interaction (0.05 ml of 1mg/ml of Ach), progressive decrease in strength of contraction was observed, depicting the fact that the extract has anticholinergic and also antispasmodic effect on the intestine. This also agrees with the work of (18) who stated that G. kola Extract exhibited rapid dose-dependent spasmolytic effect on spasms induced by Ach. Result on rate of contraction of extract followed similar pattern, for at low dose decrease in rate was recorded P=1 respectively for 0.4 and 0.6ml 0f 10mg /ml, at high dose slight increase in decreased of rate contraction was seen P .426 and P<.001 for 1ml of 10mg/ml and 0.2ml of 15mg/ml respectively. The extract cause decrease in rate of contraction in combine interaction with Ach the standard drug, on the whole, the extract clearly cause inhibition of GIT movement. The mechanism of action of extract could be empirically inferred from interaction of standard drugs for their mechanism of actions are well established in the literature, therefore, presumably the molecular components of interaction or mechanism of action of the extract perhaps could be that the extract employed parasympatholytic mechanism. Garcinia kola inhibitory effect can be said to be due to the presence of biflavonoids/flavonoids which has inhibitory effect on smooth muscle activity . The effect is more pronounced with high dose than low dose, marked decrease in contraction may have therapeutic application on GIT pathologies and perhaps used in drug development and evolution. Again the nature of the combine interaction results could be linked to concurrent addition of extract and standard drug, since the volume and concentration of the extract was varied unlike the drug’s, time lag and activity affinity of each molecules may have initiated contractile response, also the response may depend on the type of competition between the drug-receptors and extract-receptor interactions for the contraction was slowed and P< respectively for concurrent addition of extract and Ach from tables (3,6). Aqueous extract of Garcinia kola seed showed inhibitor property, it caused decrease in strength of contraction of the Rabbit Ileum which is dose dependent, and also from its interaction with Acetylcholine, it could be said that its effect is mediated through parasympatholytic mechanism. Studies should be carried out using Extract and calcium channel blockers. Ejele AE, Iwu IC, Enenebeaku CK, Ukiwe LN,Okolue BN. Bioassay-Guided Isolation, Purification and Partial Characterization of Antimicrobial Compound from Basic metabolite of Garcinia Kola.JETEAS 2012: 3(4):668-72. Uko OJ, Usman A,Ataja AM. Vet. Arch 2001; 71: 287-97. Uchiyama T1,Chess WR. Muscarinic receptor subtypes of the bladder and gastrointestinal tract. J Smooth Muscle Res 2006; 40(6):237-47. Ajayi IA, Ajibade O, Oderinde RA.Preliminary Phytochemical Analysis of some Plant Seed. Res. J ChemSc2011; 1(3):58-62. Ghamba PE, Agbo EB, Umar AF, Bukbuk DN. The effects of diethyl ether and aqueous Garcinia kola seeds extracts on some bacterial isolates. Acad.Arena. 2011; 3(2):87-94. Iwu MM, Duncan AR, Okunji CO In: J. Janick (ed). Perspectives on new crops and new uses. Alexandria. ASHS Press 1999; 457-462. Dada AA, Ikuerowo M. Afri. J Agric Res 2009; 4 (4):344-47. Braide VB. Antispasmodic extracts from seeds of Garcinia kola. Fitoterapia 1989; 9:123. Orie NN and Ekon EUA. The bronchodilator effect of Garcinia kola. E Afri.Med J 1993; 70: 143-45. Kabangu L, Galeffi C, Aonzo E, Nicoletti M,Messana L. New biflavone from the bark of G. kola. PlantaMedica 1987; 11:275-77. Eka OU. Isolation of pure caffeine from Cola nitida and chemical composition of Garcinia kola. NigJ PhysiolSc 1986; 10:94-8. Iwu MM. Antihepatotoxic constituents of Garcinia kola seeds. Experientia 1985; 41:699-700. Olatunde FE, Hansen M, Rain-Haren P,Dragsted LO. Commonly consumed and naturally occurring substances affect bio makers of oxidative stress and DNA-damage in healthy rats. FChemToxicol 2002; 42:1315-22. Olatunde FE, Akanni OO,Emerole GO. Antioxidant and scavenging activity of flavonoid extract (kolaviron) of Garcinia kola seeds. Pharm Bio 2002; 40:107-16. Farombi EO, Abarikwu SO, Adedara IA,Oyeyemi MO. Curcumin and kolaviron ameliorate di-n-butylphthalate-induced testicular damage in rats. BasicClin Pharm Toxicol 2007; 100(1):43-8. Adaramoye OA,Adeyemi EO. Hypoglycaemic and hypolipidaemic effects of fractions from Kolaviron, a b i f l a v o n o i d c o m p l e x f r o m G a r c i n i a k o l a instreptozotocin-induced diabetes mellitus rats. J Pham and Pharmacol 2006; 58:121-28. Akpantah AO, Oremosu AA, Noronha CC, et al. Effects of Garcinia Kola seed extract on o v u l a t i o n ,oestrous cycle and foetal development in cyclic female Sprague-Dawley rats. Nig JPhysiolSc2005; 20:58-62. Agil M, Khan IZ, Ahmed MB, Ishikura NA. Novel Glycoside – 5,6, 7 – Trimethoxy Flavone 4′-B-B-D-Glycoside from Buchnerahispida . Disc and Innos1994; 6:343-45. Udia PM1, Braide VB, Owu DU. Antispasmodic and spasmolytic effects of methanolic extract from seeds of Garcinia kola on isolated rat small intestine. Nig J PhysiolSc 2009; 24(2):111-16. Guyton AC, John EH. Textbook of medical physiology. 11th edition, Elsevier Sanders, Philadelphia, pp 771-75, 2006. Ruffolo RR. Review of Importance Concept in Receptor Theory. JAutPharm 1982; 99:570-82. Nanyak ZG, Ibraheem MG, Ali AH, Ali IS. The Effect of Aqueous Extract of Garcinia Kola Seed on the Liver Histology. J Nat Sc Res2013; 3(1):81-7. Reboller E, Arrubo MP, Murillo MD. Effect of Lipopolysaccharide on Rabbit Small Intestine M u s c u l a r C o n t r a c t i l i t y I n v i v o : R o l e o f Prostaglandings. Neuro-gastr. Motility 2002; 14: 6-33.